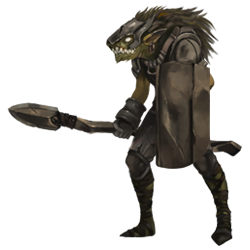 Basic tribal unit with melee attacks. 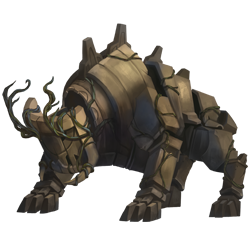 Although he only deals a low melee damage, he is able to charge. 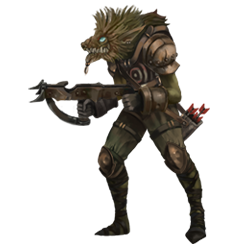 Nimble ranged unit wielding a crossbow. Best way to deal with them is closing the distance as fast as possible. 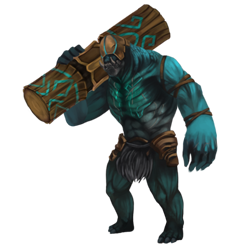 A heavier variant of the Tribal Warrior. 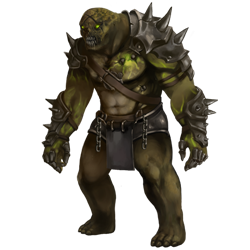 Has significantly higher HP and can perform a special attack staggering the player. 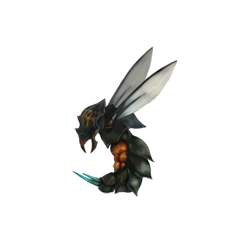 A slow support unit which can buff and heal enemy units. 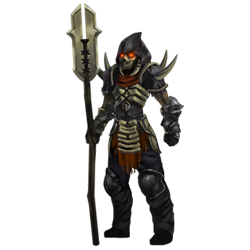 This elite warrior wielding two swords is fast and has the ability to leap onto the player character dealing damage as well as block incoming attacks. 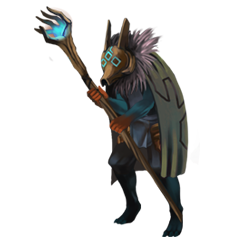 This tough special unit is carrying a large totem which causes AoE damage. A wooden creature held together by vines and brought to life through the power of Lunarium. 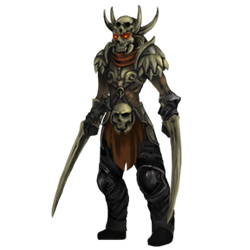 The basic variant of the skeletal faction armed with a sword. 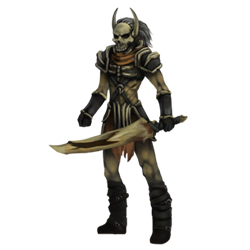 A ranged basic skeletal unit. 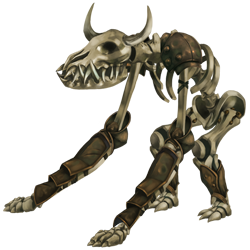 This support unit can perform powerful bone magic. 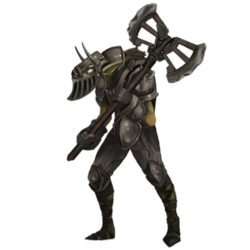 A special unit with a spear that gives them extraordinary reach in their melee attacks. 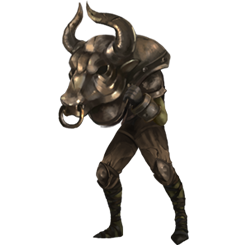 A special unit with tusks attached to its arms. He is dangerous due to his fast attacks. 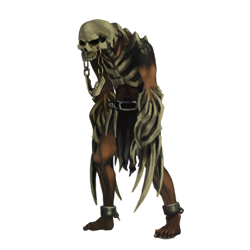 A unit consumed by bone magic that caused rampant growth of his bones. 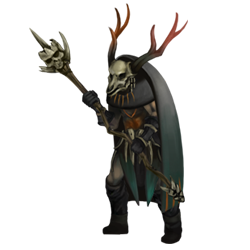 He can cause bones to strike from the ground impaling his enemies. The boss is a huge monstrosity made out of bones. The bone structure resembles a giant ground sloth. In order to defeat it, the player needs to destroy its claws to get to the lunar heart in its chest. The boss consists of 3 phases. To enter another phase, the player needs to destroy his arms. He then regrows a new unique pair of arms. 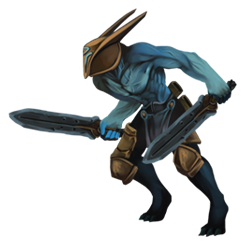 Shifty, sword-wielding melee unit with a buckler able to parry attacks. A variation on the swordsman with longer reach and a shield. 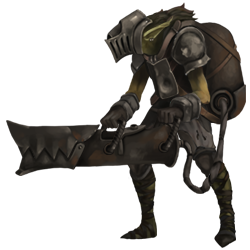 The heavy melee basic unit with a two handed axe capable of staggering the opponent. 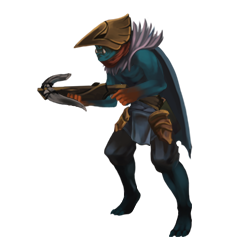 A ranged nimble unit with a crossbow. 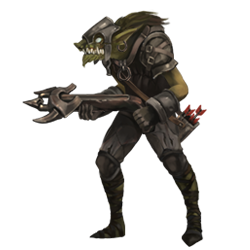 This goblin is carrying a flamethrower which deals medium AoE damage in regular bursts. 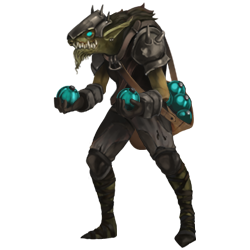 The Grenadier throws volatile glass flasks that explode on impact. 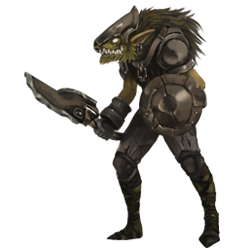 With this sturdy headpiece, the goblin Juggernaut is unafraid to charge into battle head first. The goblin who likes it close and personal. 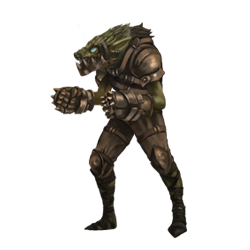 With his spiked gloves, he’s ready to make you his personal punching bag. An elite marksman with special arrows. The unleashed Troll pumped full with Lunarium. 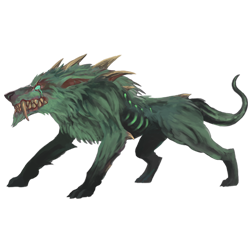 Its movement and attacks are more erratic but all the more brutal. 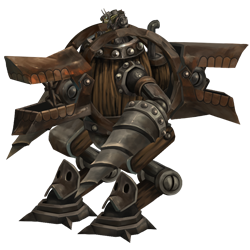 A mecha-like, heavily armored machine constructed by the goblins to wreak havoc on the battlefield. 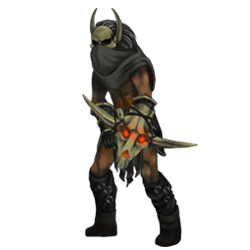 It is equipped with a flamethrower, can toss bombs and has a saw for melee attacks. 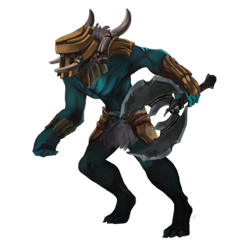 The player needs to switch between close combat and distance depending on the attack pattern. It has several modes that can be switched multiple times mid combat by rotating ist heads. 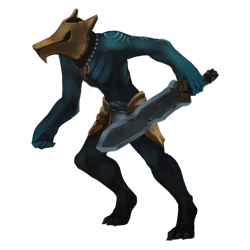 A wolf enemy attacking with its muzzle. 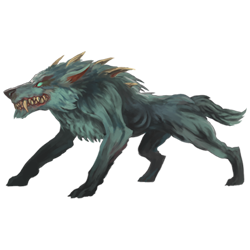 The alpha version of the regular wolf. 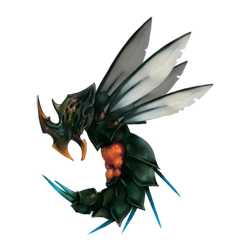 Small flying enemy that attacks with a venomous stinger. 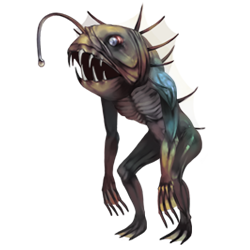 A small fish-like humanoid that leaps out of the swamp. 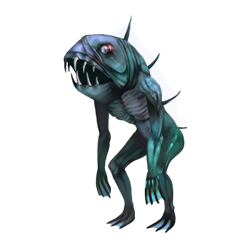 This fishman is based on a sea devil. It is capable of spitting acid at the player.